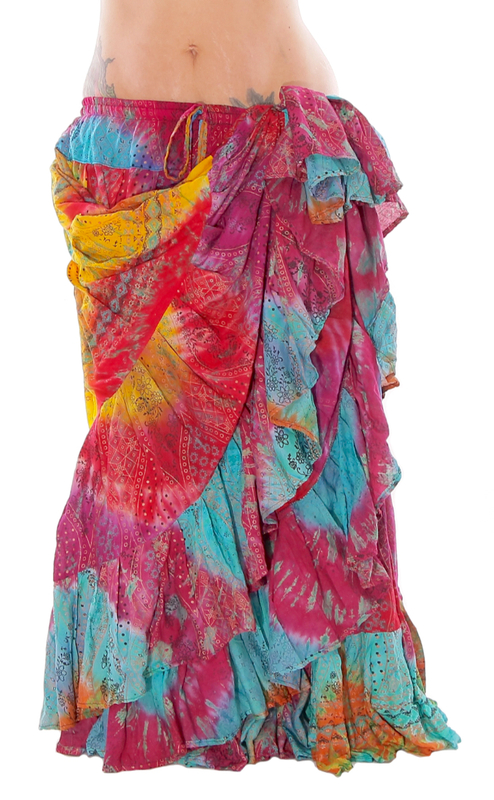 This wonderfully colorful 25 yard tribal gypsy skirt is a versatile addition to any tribal belly dance wardrobe! 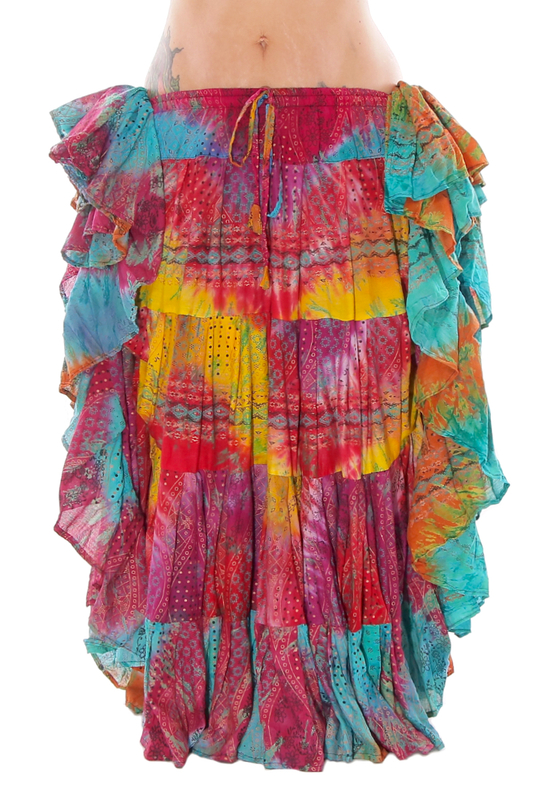 This fun and fabulous tie dye 25 yard tribal gypsy skirt is a versatile addition to any tribal belly dance wardrobe! The colorful fabric is not only beautiful and unique, but can be worn with many different costumes. 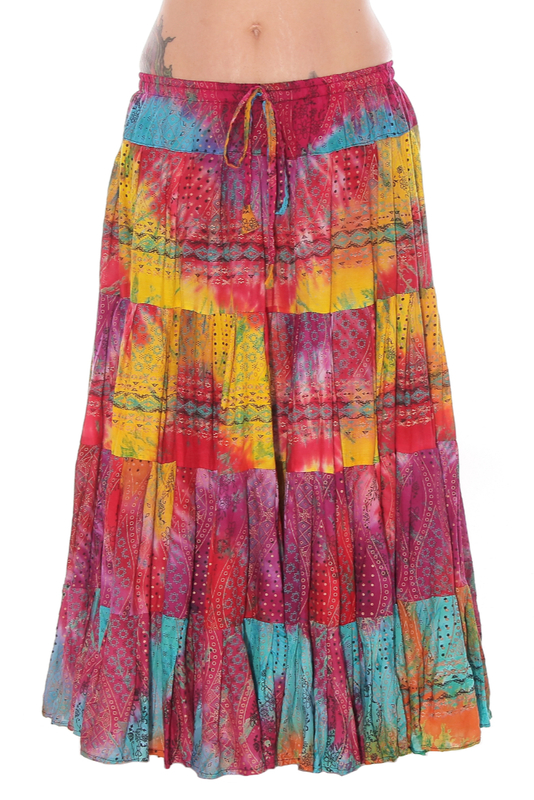 Great for layering with other ATS skirts or harem pants. Elastic and drawstring waistband for a comfortable, adjustable fit. Rayon blend. *Each skirt is unique and may not have exact color and pattern as photo. 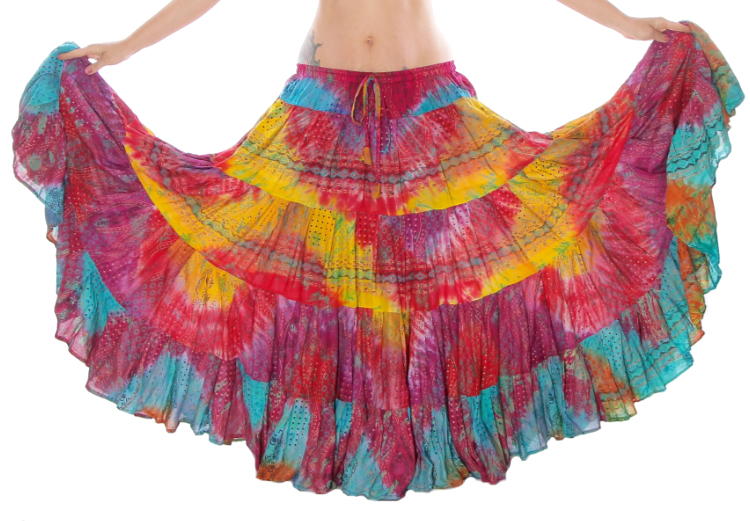 This colourful skirt really brings life when I dance with it, it is light and easy to handle. Very happy with this purchase. Q: What material is the skirt made of? A: Hi DetroitAnne, Thank you for your question. 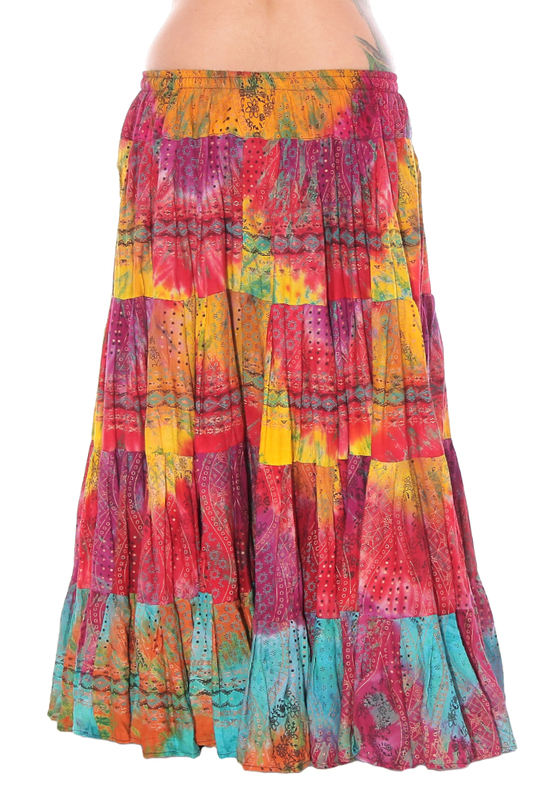 This beautiful skirt is made from a rayon blend fabric. I hope this helps.